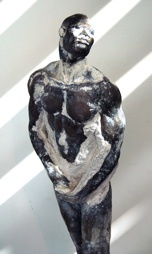 Lane leaves the workings of the foundry: the gaiting material, ceramic shell mold, etc., (the “birthing” materials of the foundry), on the bronze to symbolize generic man emerging out of material thinking into spiritual consciousness. 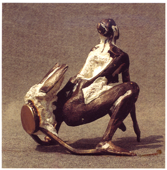 the traditional black patina bronze, with the ceramic shell pieces as a metaphor for the moralistic/materialistic conversations that mankind has wrestled with throughout eternity. 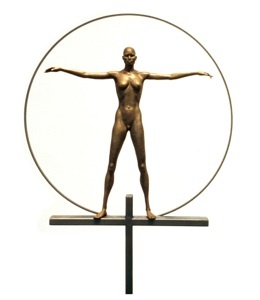 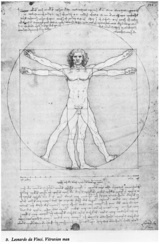 Artis Lane is the first sculptor to utilize the idea of Leonardo da Vinci’s Vitruvian man as a female figure.